Blog | B&L Automotive Repairs, Inc. The worst of winter weather driving may be behind us, but spring has its own unique set of hazards to watch out for, from rain to wildlife to construction work. 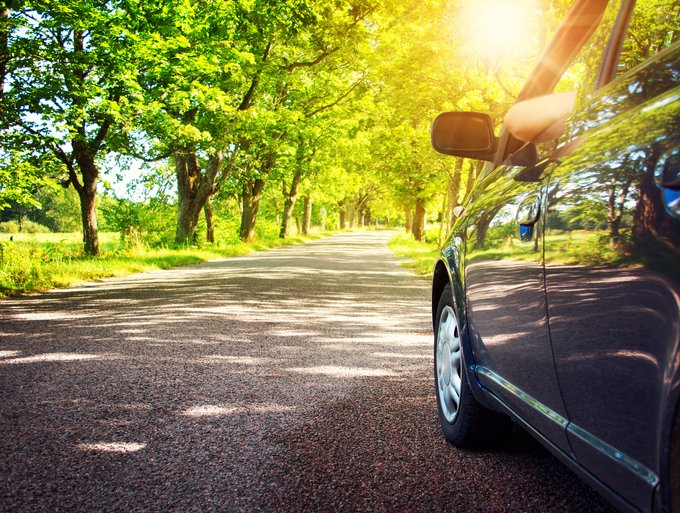 Follow these tips to help you drive safely this spring. Watch for pedestrians: The warming weather means more people are out and about. Be watchful at intersections, especially near residential, shopping and recreational areas where more people are likely to travel on foot. Share the road: Two-wheeled vehicles, including motorcycles and bikes, make a comeback in the spring. They offer a fun, open-air way to get around, but their smaller size makes them more difficult for drivers to see. Be extra vigilant about checking your blind spot for cyclists when turning, merging or changing lanes. Be patient in work zones: Construction and road repair begin in earnest every spring, creating frustrating work zones. The key is to slow down, stay calm and avoid distractions. It’s also wise to leave your house a few minutes early if you know you’ll be driving through construction. Know how to handle severe weather: April showers might bring May flowers, but they also bring hazardous driving conditions. If hail or torrential rain hits while you’re on the road, pull over and seek shelter under a covered area, if possible. 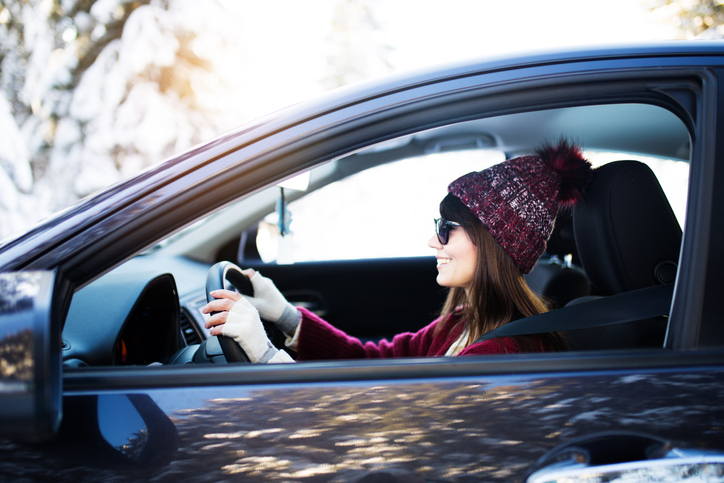 Also, be prepared to resume winter driving techniques – such as slowing down and increasing your following distance – if freezing temperatures return temporarily. Stay alert for wildlife on the road: Bears, deer and other animals are more active in the spring, so be watchful, especially when driving through rural or mountainous areas. Dodge potholes: The freeze/thaw cycle may have caused large potholes to form in some places over the winter. Avoid driving through these whenever possible to prevent throwing your wheels out of alignment. Don’t drive through water: Go around large puddles to avoid impairing your brakes, splashing your windshield and hydroplaning. If the road appears flooded, never attempt to drive through it. According to The Weather Network, just six inches of water is enough to stall an engine. A foot of fast-moving water can carry a small car away, and two feet is enough to make SUVs and trucks float off. Keep your tires inflated: Full tires have better traction in wet conditions and withstand the impact of driving through potholes more effectively. Check the driver’s side door jamb to see the recommended pounds per square inch of air pressure your tires need. Despite your best efforts to drive carefully, you may still get in an accident this spring. If you do, bring your car to B&L Automotive Repairs in Chicago. We have nearly 30 years of experience providing fast, reliable service to our customers. Our team has access to the latest diagnostic and repair technologies, making us confident that we can meet your needs no matter the make and model of your car. For more information, or to schedule collision repair, please contact us at (773) 463-1622. When you bring your vehicle to a body shop after a car collision, one of the issues the technician will check is your wheel alignment. It’s very common for an accident to throw off the wheel alignment. Even driving over a pothole or hitting a curb can adversely affect it. It’s important to maintain the proper wheel alignment for safety’s sake. A misaligned car can develop vibrations that you’ll notice in the steering wheel. Plus, wheel alignments can lead to uneven wear and tear, and poor vehicle performance. Here’s a look at some of the many factors that determine wheel alignment. When you’re looking at your car from the side, the caster is the degree of tilt of the upper point of the steering axis. The tilt can be either positive (backward tilt) or negative (forward tilt). The vehicle height will affect the caster. For example, if there’s a great deal of weight in the trunk, the front suspension will have a positive caster. Imagine yourself standing in front of your vehicle. Camber is the degree to which the wheels would tilt to either side. If the top of the wheel is tilting toward the outside of the vehicle, it has a positive camber. If the top of the wheel tilts to the inside, the camber is negative. If the camber is either too positive or too negative, the tires will wear out unevenly and prematurely. Stand up and look down at your feet. Rotate your feet inward slightly so that the toes are leaning towards each other. If your feet were your tires, this inward tilt would be referred to as a positive toe. Rotate your feet so that the toes on each foot are pointing away from your body. On a car, this would be a negative toe. The toe of the wheels must be correct in order to prevent premature tire wear and steering instability. Bring your car to B&L Automotive Repairs, Inc. for a total, post-accident evaluation. We are a certified collision center serving Chicago since 1978. Give us a call today at (773) 463-1622, and find out for yourself why so many Chicagoans choose us for their car repairs. When ice and snow cover the roads, most of us are delighted to see crews out clearing them and making them safe to travel. Salt and sand are particularly helpful on wintry roads because these elements combined help to melt the frozen surfaces and give vehicles extra traction. Road salt lowers water’s freezing point, chemically turning ice back into water to allow tires to reach the pavement that had been covered in ice. Sand added to the salt helps it to stick to the ice, and also lends traction to passing vehicles. This makes the roads much safer to drive and reduces your risk of an accident. If you’re out driving in wintry conditions, though, it’s important to make sure you wash all of that salty sand off of your car when you get off the road. Failing to do so can lead to serious damage to your vehicle. 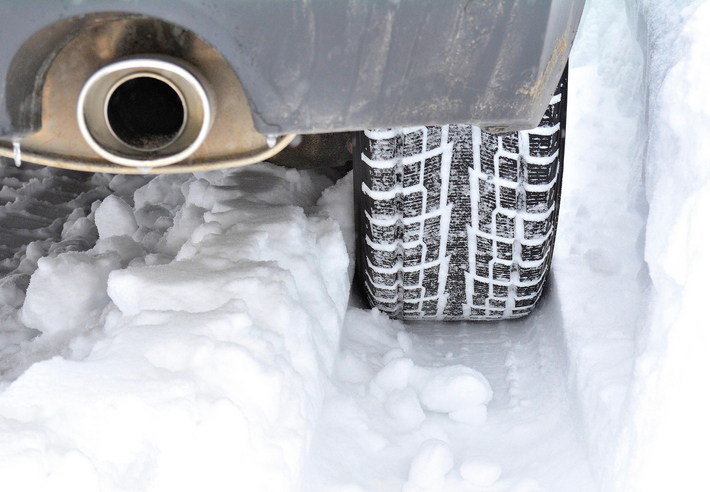 Just as salt chemically changes ice into water, it creates chemical reactions on your vehicle. Rust is the biggest problem with salt on a car, and that can really take a toll on your paint job. Even worse, the impact of rust on a vehicle is far deeper than merely cosmetic. In fact, rust can create a wide range of problems for a car, including hydraulic brake system leaks and damage to the exhaust system, subframe, coil springs, and muffler. Why does this happen? The way cars and trucks are constructed leaves the underbody open and exposed. When they pass over ice that’s been salted, those open, vulnerable areas can be damaged by the salt. You may not even notice the damage if you’re not paying attention, because it’s under the car and can be difficult to see. Many times, vehicles that have been out on salt-treated roads are left in a garage, with ice, snow, and salt from the roadways stuck to their underneath side, rotting away the components of the car that are exposed there. How can you prevent this damage? After driving, head for a car wash to rinse off the damaging salt, sand, and water. Note: It’s not enough to simply drive through the car wash. You have to make sure the car wash has an under-spray, or a handheld spray that you can use to rinse the bottom of your car. In addition, there are some steps you can take before the icy season arrives, to protect your car before it comes into contact with damaging salt. Apply some wax. It’s true that most of the damage occurs underneath the vehicle, but it doesn’t hurt to protect the rest of your vehicle, too. Giving it a good coat of wax before wintry weather hits can help protect your paint job from corrosion. Head to a collision shop for some expert protection. The professionals at a collision shop can provide protection using an oil solution pre-treatment. Spraying it on your vehicle’s exposed undercarriage provides a coating that prevents salt, sand, and water from sticking to the metal parts of your car. Steer clear of danger zones. If you can avoid puddles and snow plow trucks, you’ll be ahead of the game. Puddles are often full of salt, and if you’re the closest vehicle to the snow plow, you’ll be the first to hit that fresh, new layer of salt. Have your car inspected before the winter arrives. Having a pre-winter inspection is important for many different reasons, including protection from salt. Your mechanic can give your car a once-over and make sure you head into winter with a vehicle that’s fully functional and safe to drive. Assessing wear and tear before heading into wintry weather gives you a good starting point, and having all your systems examined and maintained before the cold strikes is a good way to make sure you don’t get stuck in a bad situation. Before the next winter storm hits, talk to us at B&L Automotive Repairs, so that we can help you protect your vehicle from the damaging effects of salt on the roads. If winter weather and salted roads have already taken a toll on your vehicle, B&L Automotive Repairs can help fix your paint job and repair the damage. At B&L Automotive Repairs, we have 29 years of experience handling every kind of body and mechanical repair. Our expert staff is continually trained and updated, and our state-of-the-art equipment affords them the opportunity to serve you with the highest level of expertise. No matter what make and model you drive, or which insurance company you use, we will provide fast and reliable service to make sure your needs are met. Call us today at (773) 463-1622, or contact us through our website for more information. The final step in the collision repair process is painting. 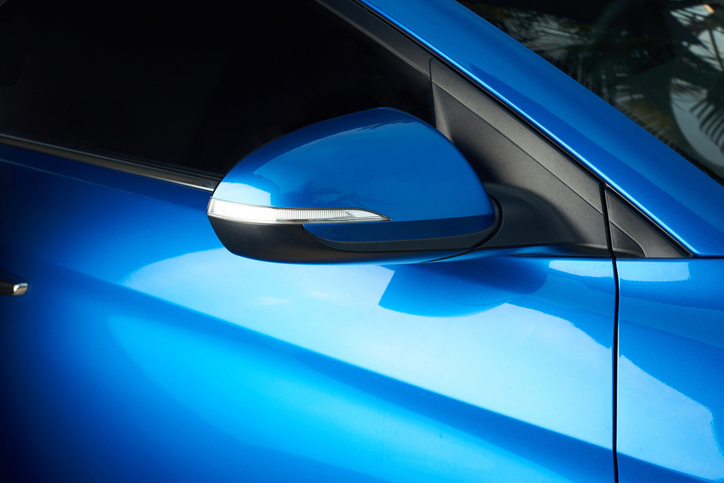 If your car has had a door panel or another visible component replaced, the technician will match the color of the paint to the color of the rest of your car. In past years, body shop technicians had to make an educated guess when mixing paint to match the color of a vehicle. But these days, body repair shops have computerized paint matching technology. The technician will scan the car with a spectrophotometer. It works by measuring the wavelength of light reflected off of the car. This information is then sent to a computer. Sophisticated software calculates the exact formula of pigments required to produce that color of paint. To double-check the accuracy of the paint matching, the technician will spray a small amount of the new paint on a card. Once the paint dries, he or she will compare it to the paint on the car, and make final adjustments as needed. B&L Automotive Repairs, Inc. invests in all the latest collision repair technologies, including computerized paint matching, to ensure that you are completely satisfied with your vehicle. For precision auto body repairs in Chicago, call our team at (773) 463-1622. What Happens if You Ignore Your Car’s Dents? It’s difficult to completely avoid dents in a car. If you drive your vehicle long enough, chances are good that you’ll notice a dent or two. If your car gets dented because of a car collision, you can have it repaired at the body shop, along with the rest of the collision damage. But it doesn’t take an accident to dent a car. A hailstorm, stray shopping cart, or close encounter with a parking lot lighting pole can all inflict damage on your vehicle. Don’t give in to the temptation to simply ignore those dents. Unrepaired dents can encourage rust to develop. Perhaps the most important reason why you should bring your car into the shop for dent repair is that unrepaired dents will encourage rust to form. Just one little dent can penetrate the paint sealant, and just one or two snowstorms in wintry Chicago can trigger rust to take hold. Once rust starts forming on your vehicle, it can spread throughout the frame and paneling. Rust is far worse than a mere cosmetic inconvenience. It can damage important components throughout your car and compromise the integrity of the frame. Unrepaired dents will lower the resale value of your car. Cars aren’t built to last forever, and sooner or later, you’ll want to find a new ride. If you have unrepaired dents in your door panels or bumpers, you can expect the resale value of your car to drop. Buyers prefer to purchase vehicles in good condition. If your car has dents, the buyer might start to wonder if the car has hidden damage that may become costly. Unrepaired dents may affect your reputation. The car you drive says a lot about you. Driving a car with dents might adversely affect your reputation. If your job requires you to impress your clients, it could be hard to accomplish this if you pull up in the parking lot with a dented car. At B&L Automotive Repairs, Inc., rapid car dent removal is one of our specialties. Our highly trained technicians are skilled in all sorts of collision repairs, including dent repair. Call us at (773) 463-1622 to request an appointment at our auto body shop in Chicago. What Should I Do After a Fender Bender? Getting into a fender bender is often scary, but once you’re sure everyone is OK, it doesn’t have to be a complicated process to get your car repaired. Follow these steps after a fender bender so you can quickly deal with collision repairs and get back on the road again. Although you shouldn’t move your car in the case of a serious accident, if you’ve had a minor fender bender, you and the other driver should get your cars out of the way of passing traffic as soon as it is safe to do so. If you’re worried about safely moving your car or if anyone is injured, leave your car in position. If you have flares to set up, these can help to warn other drivers to go around you. If necessary, call for an ambulance so that anyone who is injured can get the proper attention quickly. You should also call the police to make a report, which you will need for your insurance company. Share insurance information with the other driver, but don’t discuss the details of the accident with the driver or the police. You could inadvertently say something that is interpreted as you taking responsibility for the accident. Similarly, don’t have any conversations with the other driver’s insurance company. Let your insurance company handle that part. As soon as possible, take your car into an auto body shop for repairs. The shop can make the appropriate arrangements with your insurance company and collect your deductible on their behalf. Be sure to choose a certified collision center, so that you can be confident that all of the damage to your car will be identified and fixed. B&L Automotive Repairs, Inc. provides precision auto body service, from minor car dent repair and paint jobs to complex frame services. If you’ve been in a fender bender, let our auto body shop in Chicago walk you through the repair process. Call (773) 463-1622 for more information. Are you wondering if your windshield should be replaced after an auto accident? The only way to know for sure is to have your car repair shop check out the damage and determine if it is safe to drive. Although windshield damage is less common after a car accident than fender damage, it does still happen, and while a simple patch of a crack will work in some cases, in other instances, replacing the entire windshield is necessary. Here are some of the reasons you may need to replace your windshield after a car accident. Cracked windshields don’t always have to be replaced, but they sometimes do. When you have a small crack that is out of your line of vision and relatively small that happened as the result of gravel being kicked up off the road, then you may be able to repair the windshield. If, however, the crack in your windshield happened as the result of an accident, then it should be replaced. Even a small crack that occurs during the impact of an accident can seriously weaken your windshield, which means it won’t protect you in another accident. Your windshield moves when you touch it. You should never be able to wiggle your windshield just by touching it. Likewise, it shouldn’t shift at all when you’re driving. If you’ve been in an accident and your windshield now moves, it needs to be replaced. The movement means it is no longer stable and could fall while you are driving. If your airbags deployed during a collision, it is worth replacing your windshield, even if you can’t see any damage. Airbags release a great deal of pressure, and the impact will compromise the structural integrity of your windshield. Make B&L Automotive Repairs, Inc. your first stop after an auto accident. Our skilled collision team provides reliable repairs and honest advice about the work that your car needs. To call our auto body shop in Chicago, please dial (773) 463-1622. Sometimes, after a car collision, the worst damage isn’t visible from the outside. Electrical problems can occur during an accident and cause problems that impact your ability to use your car. The signs of an electrical problem may not be immediately obvious, which is one more reason that choosing an experienced car collision repair shop matters after an accident. Here is what you need to know about identifying electrical problems after an accident. Electrical problems are more common than ever after accidents. Today’s cars have increasingly complex electrical systems. Even base model cars have complicated systems that were once only found in luxury models. The increase in electrical systems in cars means that electrical damage is more common after accidents. When you choose an auto repair shop, make sure that they have the appropriate training to evaluate and repair electrical systems. A physical inspection offers some clues. You may be able to identify electrical problems before your car even gets to the repair shop. Look under your hood for signs of unplugged wires. In some cases, reconnecting a wire is the only repair that needs to be made. The fuse box is located near the front fender in most cars, which means it is prone to accident damage. Look for any signs of damage to the box, so you can report it to your repair shop. Only thorough testing can make an accurate diagnosis. You may notice some signs of electrical problems as you drive, but the only way to know for sure if there are any issues is to allow your auto collision repair shop to test your system. 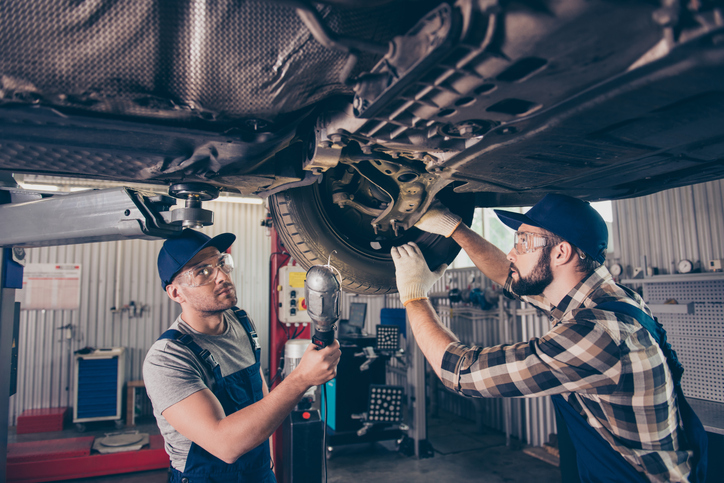 Your auto body shop has devices to test conductivity problems, connection issues, and more, and they can identify problems before any symptoms occur. This allows you to get your damage fixed at the same time that your other repair needs are being addressed. Trust B&L Automotive Repairs, Inc. for all of your post-accident repair needs. Our experienced team at our repair shop in Chicago is highly skilled in fixing a number of different damage types. Find out more by calling (773) 463-1622. Is a Car Totaled If the Frame Is Damaged? It’s common for frame damage to occur during an accident. One of the reasons that it is important to take your car to an experienced auto body shop for repairs is so frame damage does not go unnoticed, even if it is minor. Fixing frame damage can prevent significant issues in the future for your car, long after your insurance coverage for your accident repairs has been paid out. However, when people hear frame damage, they often get scared that it means that their car is totaled. Is your car really a write-off if the frame is damaged? Frame damage alone doesn’t mean your car is totaled. The severity of the frame damage is the fact that makes the most difference. Insurance companies use a specific formula for deciding when cars are totaled that broadly weighs the cost of car repairs versus the value of the car. If repairs are going to cost more than the value of the car, no matter what the type of damage is, then the car is totaled. If your insurance company wants to pay for frame damage repairs, make sure you select a reputable auto body shop to do the job. You can bring your car to B&L Automotive Repairs for reliable car collision services. For more information about auto body repairs in Chicago, call (773) 463-1622.